Non-volatile blue bleaching powder which improves the hue of the yellow undercoat typical of very light shades of bleached hair. 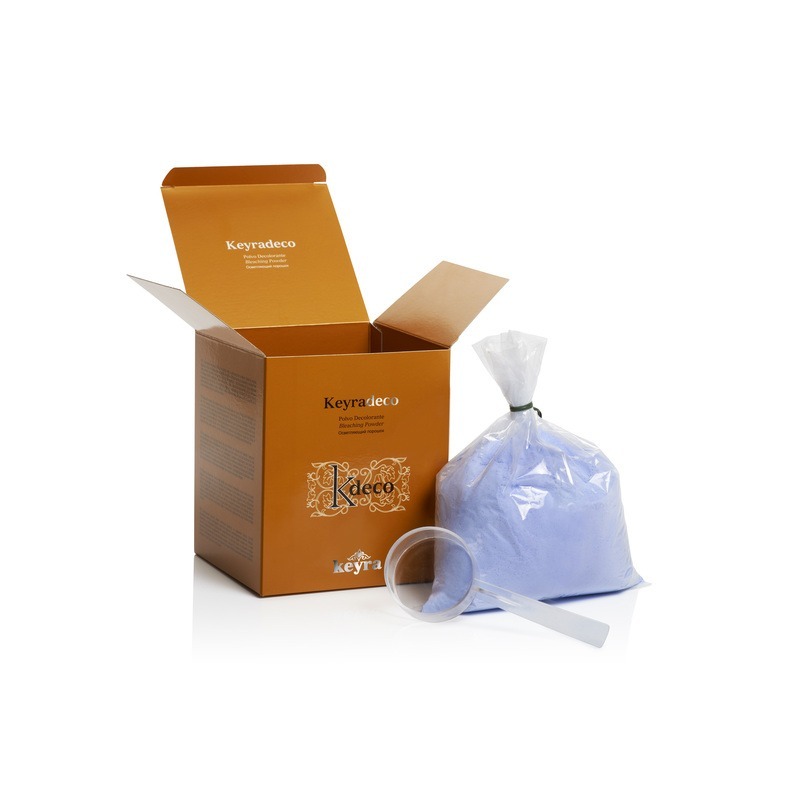 Mixed with Keyraox peroxides it forms a homogenous cream which is not overly liquid, ideal for any bleaching technique. Formulated with persulfate and natural gums (guar and xanthan), ideal for partial or full bleaching and discoloration, respecting the hair structure to the full. The ingredients help make the end product more viscous and creamy. Lightens up to 9 shades. The number of shades that hair can be lightened with Keyradeco will depend on the volume of hydrogen peroxide used and the quality of the hair. The concentration of hydrogen peroxide and the time the product is left in the hair will always be a matter of professional discretion. However, we do not recommend leaving it in for more than 30 minutes or using more than 30 Vol. Keyraox. The recommendations on the product packaging must be taken carefully into account at all times. 500 g box + spoon.